Wednesday, April 17, 2019 Learn everything you need to know about the tech academy WANIC at DigiPen. 6:30 PM – 7:30 PM Register Now! International Tabletop Day is April 27th! Let us help you create a board, dice, or card game unique to your family. Join the fun and create some great memories! Homeschool ends today! 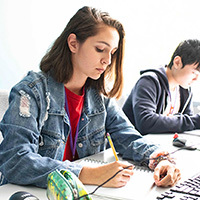 Be sure to Register for the Fall 2019 – Spring 2020 school year. 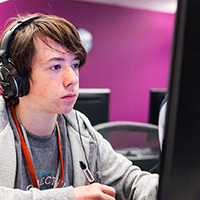 Drop your students off at DigiPen! They’ll have fun playing games, making art, and having fun, and you get to have an evening to yourself. It’s a win-win! Open to students in Kindergarden through seventh grade. DigiPen Academy is now offering month-long immersive courses in science and art during the month of May. These courses are a perfect supplement to your academic study before summer begins. They run Tuesdays and Thursdays from 9:30 – 3:15 and include lunch in DigiPen’s Cafe. 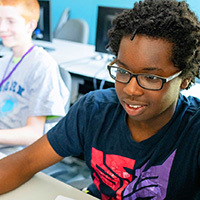 Tuesday, May 14, 2019 Learn everything you need to know about the tech academy WANIC at DigiPen. 6:30 PM – 7:30 PM Register Now! Check out our summer workshop schedule or call for any questions. Fall homeschool dates coming soon.